PLEASE COME! COME AND JOIN US FOR EASTER CELEBRATIONS. For Christians, this weekend is the ‘Superbowl’ of the year! This is where it all happens for us. As I write this, I am preparing to offer several different Homilies/Sermons throughout Holy Week as we have a different church service every single day. Easter celebrates our very reason for being. As I get ready for this wonderful feast, I find myself thinking about the full church that we will have come Sunday. I can be assured that there will be people at church at Easter that we have not seen for weeks, or even years, or even ever. This is a time of year when people think of going to church when on other Sundays they would never consider going. This article is directed to those you who do not come regularly and who like to get out to church at Christmas or at Easter. I have a word of advice for all of you who seeking to come when you have not been in so long. – PLEASE COME! COME AND JOIN US FOR EASTER CELEBRATIONS. – You will be welcomed and you will not be disappointed. By us, I mean not just St. Aidan’s (although I guess it would be true to say that I see our church as good a choice as any other) but any worshipping community near you. I also have a message for all of those who attend a church regularly each week. I have heard horror stories from seekers who muster up the courage to head out to a church when they have not been in so long, only to be greeted by a do-good Christian who offers a remark like, “What are you doing here. I hope the rafters don’t cave in.” So to you who are regular attendees I say: LISTEN UP! Look around you! On most Sundays there are seats for new people. 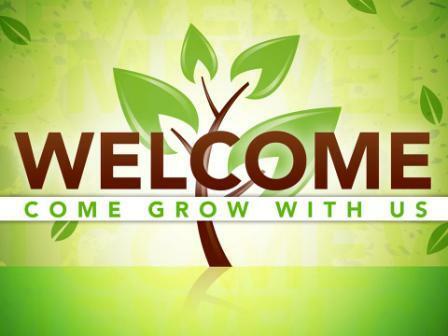 Scaring off newcomers by being inhospitable is not only foolhardy given that all churches wish to grow; it is contrary to the way of Jesus. When we turn away the stranger, we turn away Jesus. So when you see the seeker come through the door this Easter, give up your ‘regular’ seat so that she can be comfortable. Invite the newcomer to your coffee hour or time of fellowship after church. Celebrate the joy of knowing that Light that defeats darkness. Celebrate that empty tomb by offering friendship and hospitality and community to those who come looking for it. It is what the Resurrected Christ calls us to. So I invite everyone to join us for an uplifting celebration. Our worship at this time of year holds up the notion that death has no dominion over us. We are a people who revel in the resurrection. Come and be with us, whether it has been a week, a decade, or a lifetime, or never since you last attended church. We will be better for having you join us! I am an Anglican priest at St. Aidan's church in London, Ontario. We are a growing and loving community and I am fortunate to minister side by side with the people of God in this place. This Blog is a place to offer my thoughts on theology, the church, and the place of the church in the world today. I am glad that you have stopped by to visit and invite you to leave your comments. Prayers and Blessings to you Kevin and you prepare 7different sermons for this Special Week! Canon Kevin on Revy Kevy Rides Again!